This earrings are my new spontaneous creation. I was walking by the jewelry furniture store, of course I entered and bought some cute details for future creations. When I came home I've already had a clear idea of this colorful ethnic earrings in my mind. 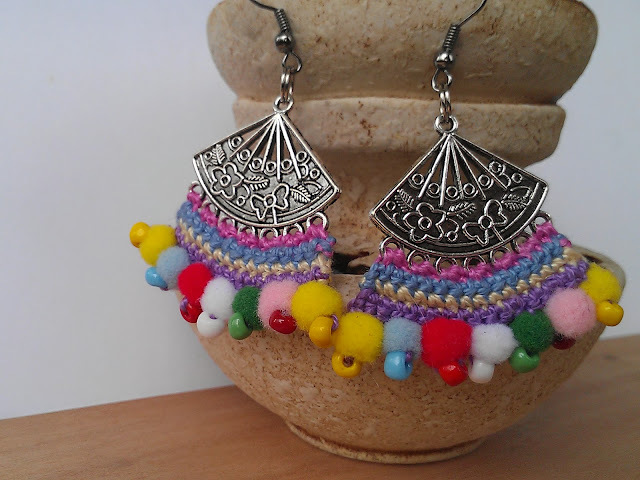 And finally I've got an opportunity to use those super cute tiny pom-poms. 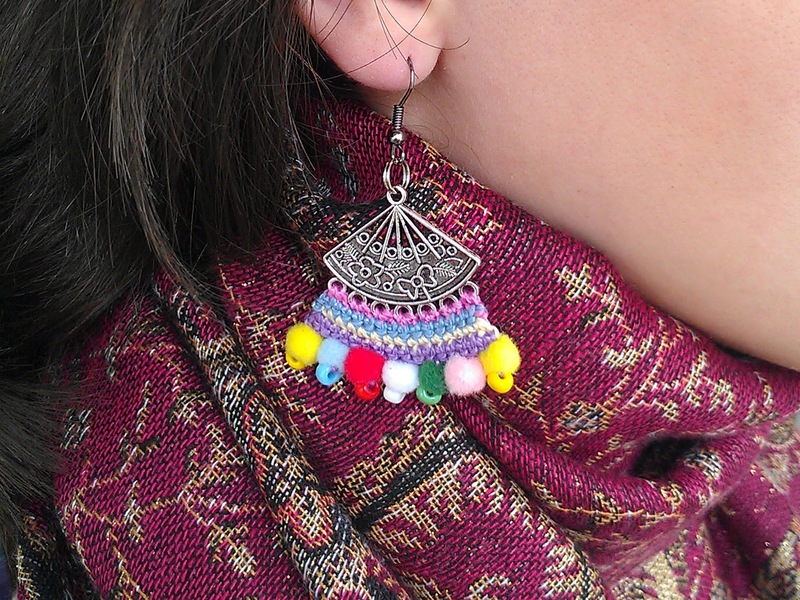 The earrings turned out pretty charming, very bright and warm, reminding about summer and sun during this cold rainy days. 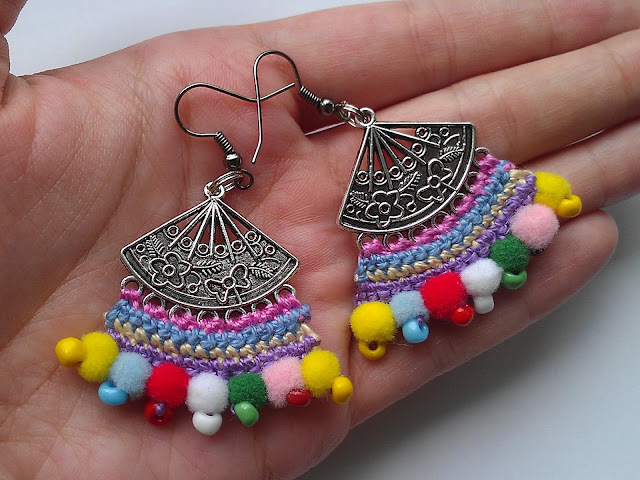 Such earrings are really easy and quick to make. Just 4 rows of single crochet, joining different yarn each row. After that sew the pom-poms and beads to the 4th row.